The first in a collection of four Tower of London coins, made exclusively by The Royal Mint in collaboration with Historic Royal Palaces. The epic story of London's imposing royal palace and fortress is brought to life by the limited edition Tower of London coin collection. The first coin in the collection, The Legend of the Ravens, features the iconic birds that have made the Tower their home. Legend says if the ravens were ever to leave the Tower then the fortress and kingdom will fall. The reverse of the coin shows a section of the ancient walls and features a special Tower 'mint mark', which is the first time this prestigious hallmark has appeared on a UK coin. This depicts the White Tower which shows the link between the Tower of London and the Royal Mint which had operated with the fortress walls for centuries. Denomination £5 - silver Proof coin. Limited edition presentation of 3,800 coins. Obverse designer Jody Clark, reverse designer Glyn Davies. Developed exclusively by The Royal Mint in collaboration with Historic Royal Palaces, this new, limited edition £5 silver Proof coin features 'The Legend of the Ravens'. The iconic ravens reside at the Tower under the watch and care of the Ravenmaster. King Charles II ordered at least six ravens be kept at the Tower. Due to ancient chronicles which recorded King Bran Hen of Bryneich wanted his head to be buried on the 'White Mount' upon his death (later becoming the site of the Tower of London), this gave rise to the legend that if the ravens ever left, the fortress would fall. Despite John Flamsteed's (the royal astronomer who used the Tower for his stargazing) protestations that the ravens disturbed his work, King Charles II insisted the ravens be kept. This silver Proof coin is delivered in is own gift box with further information about the ravens and the Tower. Silver proof coin - £5.00 denomination. Only 3,800 silver Proof coins minted. 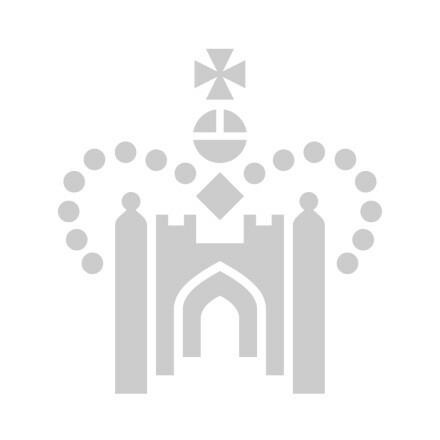 Additional coins will mark the Crown Jewels, Yeoman Warders and The Ceremony of the Keys.